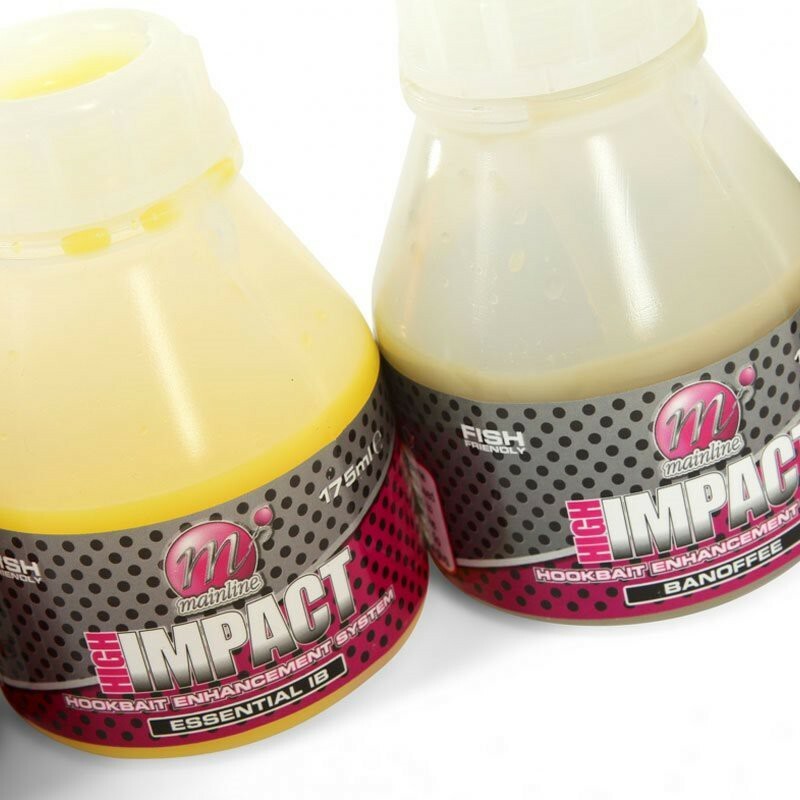 Mainline's range of High Impact Hookbait Enhancement Systems help to boost the attraction level of hookbaits, boilies, pellets and groundbait. Utilising Mainline's exclusive High Impact flavours, as well as a list of proven sweeteners and attractors, these PVA friendly liquids can enhance any bait to draw fish from all levels of the water column. 175ml bottle available in: 50/50 Fruit-Tella, Banoffee, Diamond Whites, Essential IB, High Leakage Pineapple, Peaches & Cream, Salty Squid and Spicy Crab.